Secret Mission to Spy Island (7411) returned in 1970 and stayed part of the Adventure Team line in various incarnations right through the end of the run. Just as the 1969 version made some changes from the military era's Sabotage set, the AT version switched out the earlier camouflage fatigues for a black outfit not unlike that of the 1969 Aquanaut. 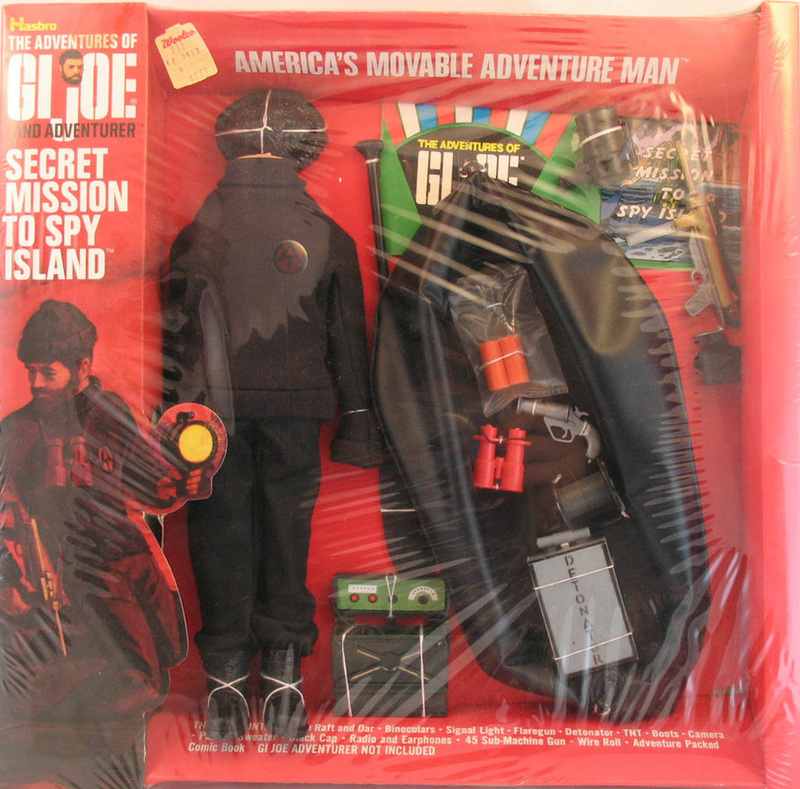 Over the years the dynamite and detonator disappeared from the set which made its last appearance as part of the Mike Power Atomic Man sets called more simply Secret Mission. Apparently the spies had been wiped out by the time Mike Power was on the scene. Equipment from this set could also be found in the super rare Sears Deluxe Adventure set.